When will be Crayfishers next episode air date? Is Crayfishers renewed or cancelled? Where to countdown Crayfishers air dates? Is Crayfishers worth watching? This exciting new series follows one of South Island's biggest Maori fishing families, the Fishers (yes, that's their family name! ), as they hit the VERY high seas of the Foveaux Strait. Based in Bluff, Dad Vaughn has worked hard to build one of the most successful crayfish operations in the country. But he's handing over the wheelhouse to his youngest son, Jayce, who's joined on board the XS by his older brother Slade and their cousin Jamie. The 10-part series looks at an industry that the rest of the country might not have otherwise considered, and shows just how hard the Fisher family, both past and present, have worked to get crayfish from the ocean and onto our plates! Near the end of the season, a series of storms has kept the Fisher boys at port for 10 days. With over half of their 30 tonne of quota landed, the weather has broken. But so has their boat. After a stormy six weeks the boys get an unexpected surprise. With only 2.5 tonne left to catch this could be the Fisher boys' last trip of the season; if they can get a full boatload. 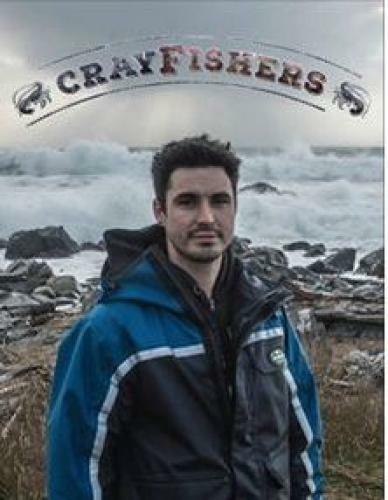 Crayfishers next episode air date provides TVMaze for you. EpisoDate.com is your TV show guide to Countdown Crayfishers Episode Air Dates and to stay in touch with Crayfishers next episode Air Date and your others favorite TV Shows. Add the shows you like to a "Watchlist" and let the site take it from there.